It’s the last day of Nature Week here! 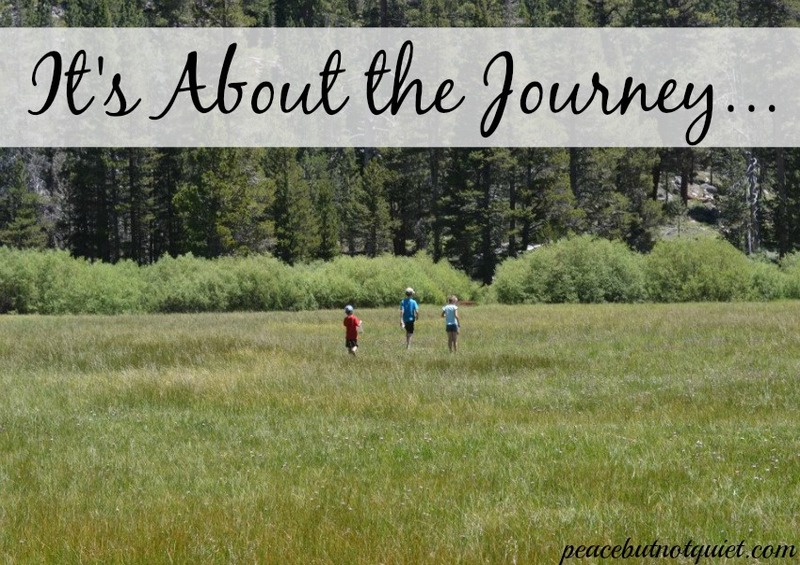 By now, you should be able to pack up your nature journal and other hiking supplies, read a few books about what you might find while exploring…and you should be ready to get outside with your kids! Here’s the thing, though — you’re not going far. While I do have dreams of someday summiting a fourteener with my children, right now we’re lucky if we hike past the bathrooms. Kids like to investigate bugs. And stare at plants. And climb under bridges so they can yell at unsuspecting hikers that there are hungry trolls coming to eat them. The point is, they don’t always move fast and they don’t always move far. That’s the way it is with kids. Whether they’re learning to make dinner or do their laundry or just about anything, they take a loooong time and they make a lot of mistakes. And hopefully, someday down the road, it gets easier. And faster. They require a lot of patience and grace and setting aside of our own agenda to hike four miles so we can look for dinosaur bones in the dirt instead. Patience and grace. Not bad skills to try on other adults, either, I don’t think. Thanks for visiting Peace but Not Quiet! I’d love it if you’d take a minute to like me on facebook and follow me on twitter.